Edited by Galaad at 11:47, 15 Feb 2019. 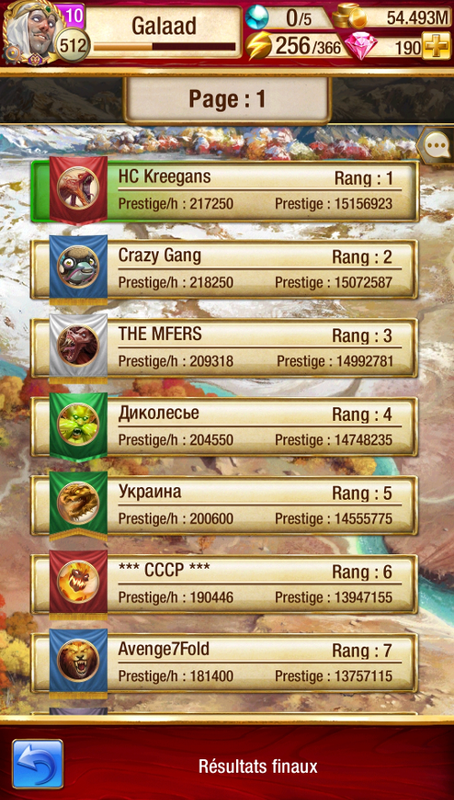 Forgot to take a screen, and seems no one else from the guild did... but we won again. I didn't get to take every other screen but in total we won 11 wars in a row. Edited by Galaad at 21:05, 20 Nov 2018. Edited by PandaTar at 01:35, 17 Oct 2018. Congratulations! 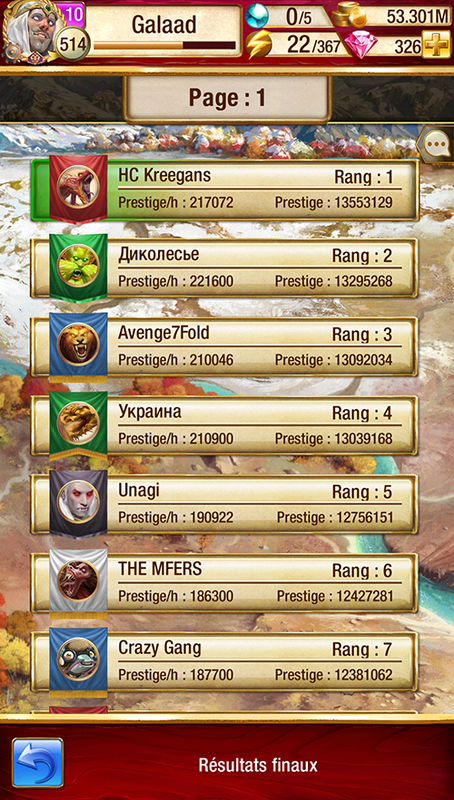 We managed a 39th, the most understaffed guild on pages 1-2, lol. But this was our best result so far. So we are very contente with it. And we just got some reinforcements. Good luck on the next GW! WHEEE! But this time I witnessed that you have it harder than previously. Edited by Galaad at 21:07, 20 Nov 2018. Thanks Forfy, Panda and Pol!